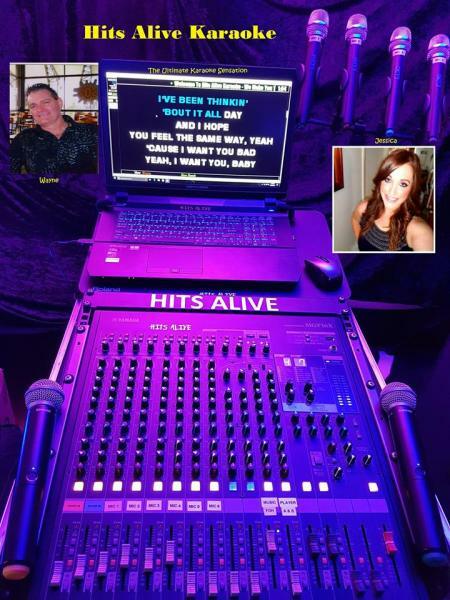 ​Hits Alive is one of the best premium professionally hosted karaoke shows on the entertainment circuit. What makes Hits Alive Karaoke stand out from the rest? Over 20,000 plus songs (no repeats) from the 50’s to the very latest! Covering all styles from country, rock, pop, easy listening, jazz, R&B and dance to alternative. Hits Alive have one of the best songbooks on hand. Hits Alive update their songbook every month unlike most! Hits Alive offer the best high premium professional Karaoke shows & DJ’s to clubs, hotels & all functions. With these attributes & the reputation as one of the best enhanced with over twenty years’ experience sets Hits Alive from the rest.